Ray Mead was born in England in 1921 and received early encouragement in art from his grandmother, who saved him blue butcher’s paper to draw on. He studied for three years at London’s Slade School of Fine Art before serving as a pilot during World War II. After suffering a plane crash, Mead was posted to Canada and tasked with training American pilots. He eventually settled in Hamilton and then Toronto and Montreal, taking on a position with the commercial design firm MacLaren Advertising. 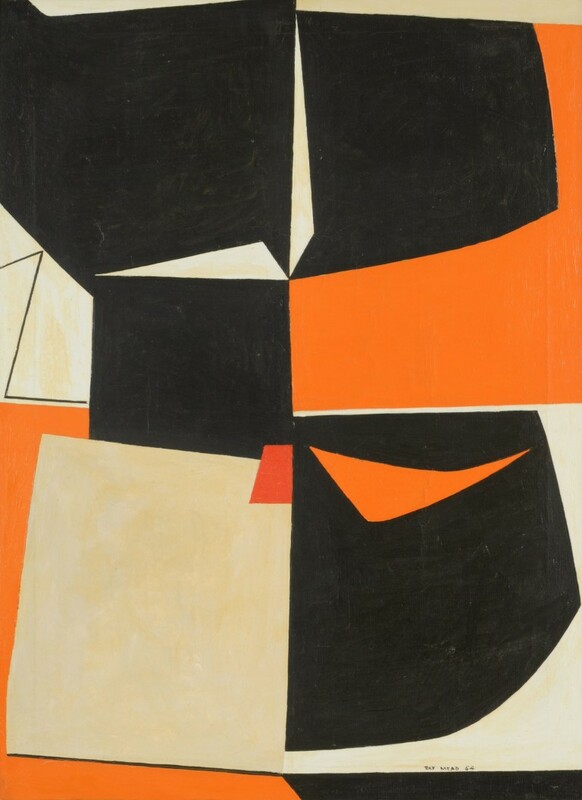 Though Mead greatly admired the abstract paintings of American artist Franz Kline and French artist Nicholas de Staël, he developed an approach to abstraction that was uniquely his own. Most often, he favoured large fields of intense colour punctuated by idiosyncratic marks. 1. Harold Town, quoted in Joan Murray, Canadian Art in the Twentieth Century (Toronto: Dundurn, 1999), 102.